A lanyard is usually worn around neck, shoulder or wrist to handle an object. Usually it can be used where there is a risk of losing the item or to ensure it is visible always. 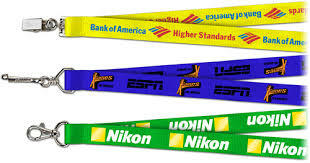 Custom lanyards are unique in nature company decides the structure on the straps and connector. Custom Lanyards utilized to attach pens, mobile phones in addition to store personal goods. An example associated with inexpensive custom lanyards are often neck lanyard that’s used in the majority of events, schools, hostipal wards, companies and conventions.